International fine jeweler and watchmaker, Harry Winston, Inc., has announced the launch of the Countdown to a Cure Timepiece, in honor of its second year of partnership with amfAR, The Foundation for AIDS Research. This limited edition timepiece, of 20 men’s and 20 women’s models, is the first official product to benefit amfAR’s efforts to develop the scientific basis of a cure for HIV by 2020. 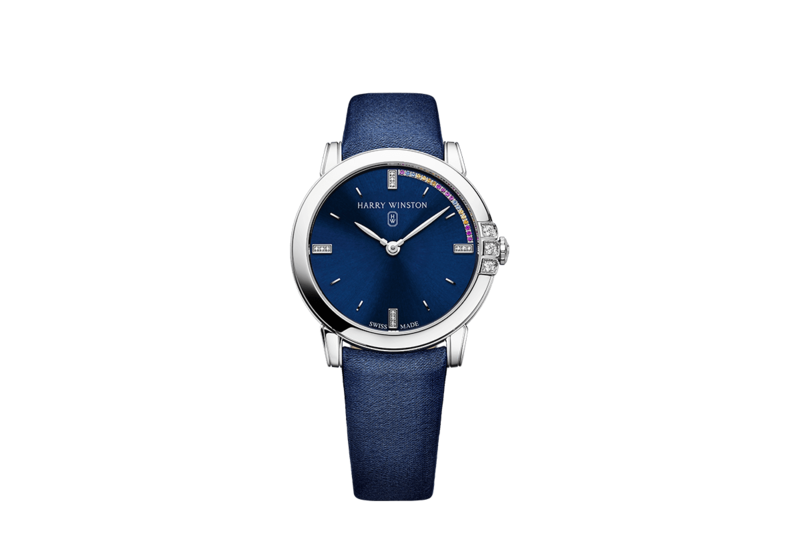 Retailing for $21,200 for the men’s timepiece, and $16,200 for the women’s, the Countdown to a Cure Timepiece will be sold exclusively at Harry Winston stores worldwide, with 20% of the MSRP from each limited-edition timepiece in favor of amfAR. 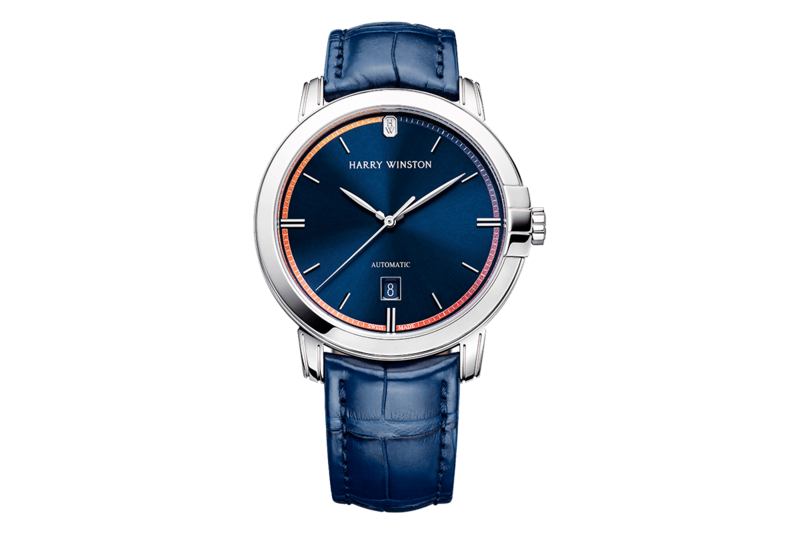 Part of Harry Winston’s stunning Midnight Collection, the men’s version sports a 42mm diameter 18K white gold case with a deep blue dial that is detailed with a multicolor effect, expressing amfAR’s Countdown to a Cure campaign colors that symbolize the fade of the disease from crisis to cure, while the complementing 32mm women’s model is lovingly set with 12 brilliant-cut diamonds and 19 vivid gemstones, from rubies and sapphires to spessartite garnets.